The Liberal Democrats have secured their position as the largest party on both banks of the Humber in the local elections. 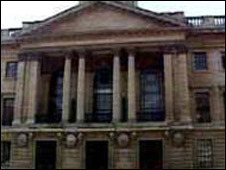 In Hull, a former Labour stronghold, the party has regained control of Guildhall following a shift in political balance from two defections. They remain the largest party of North East Lincolnshire Council, which is in no overall control. One third of the council's seats were up for election this year. In Hull, the Lib Dems gained five seats at the expense of one loss for Labour and four for independents. Hull Lib Dem leader Carl Minns said: "In the past two years we have had Labour slowing things down and stopping the changes that Hull needs because their attitudes are stuck in the 1970s. "Now we have that majority, we will use it to make big changes, to improve value for money and to improve the way the Guildhall works." The council is now made up of Lib Dems who are on 33, Labour on 19, the independents four and Conservatives three. Labour lost two seats in North East Lincolnshire with one gain each for the Conservatives and the Lib Dems. Lib Dem leader of the council Andrew de Freitas said: "I'm overall very happy with the results... It was a very difficult campaign. It's obvious the Conservatives upped their game considerably. "We've gone from 19 to 20. We're very much in business and still the largest group in the council." The council is now made up of Lib Dems 20, Conservative 16, Labour four and independent two.